As part of the agreement, Okay Airways has secured rights to exercise options for eight additional 737 MAX 8s. The planned order, valued at $1.3 billion at current list prices, is subject to the approval of the Chinese government. 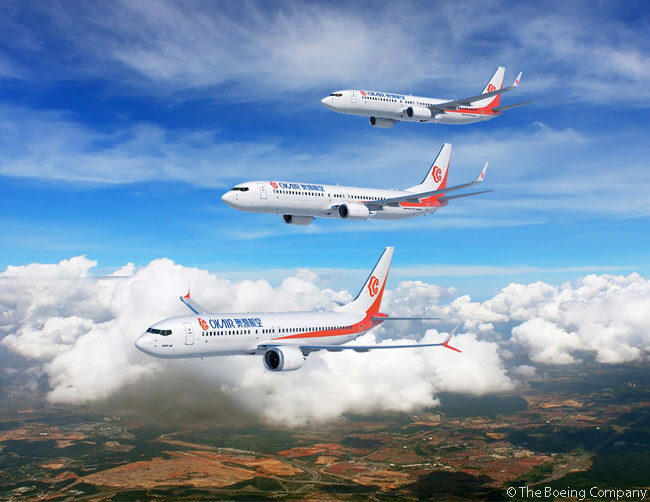 Okay Airways and Boeing announced the commitment on February 17 at the Singapore Airshow 2016. Boeing says it will add the order to the totals on its Orders & Deliveries website once all contingencies are cleared. If the deal is firmed into an order, Okay Airways’ commitment will mark the first 737 MAX 9 order by a Chinese airline and will increase its 737 MAX fleet to 17 aircraft. The first privately owned airline in China, Okay Airways is headquartered in Beijing. However, its main hub is at Tianjin Binhai International Airport (IATA code TSN). Okay Airways’ current fleet includes 14 737-800s, three 737-900ERs and one Boeing 737-300 Freighter. The airline serves more than 100 domestic and international routes. To date, Boeing has won firm orders for 3,072 737 MAX-family aircraft, from 62 customers.